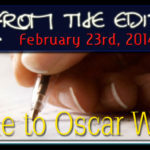 From The Editor – 23.1.2014: Welcome to Oscar Week!! Hi folks!!! This week marks the countdown to next weekend’s Academy Awards ceremony, and to mark the occasion, we’re going to be bringing you reviews on all the Best Picture Oscar-nominated films! We’ve already had 2 of them up recently, in Gravity and Captain Phillips, but the rest will all come along this week as we go to a 2-per-day review experience that’s not to be missed. Nine films are up for Best Picture (and damn, it would have been nice had White House Down made the cut… lolz!) and our commitment to you is to review each one of them before the big day. Naturally, our website will go into meltdown come Monday 3rd March (local Adelaide Time), when the Oscars kick off around lunchtime – as with last year, you can follow us on our official Facebook page, or via our Twitter feed (see the sidebar to the right, and click the links! ), as we discuss, comment on, and rip into Hollywood’s big night. If you can’t see the ceremony live, or live in England (where it will be sometime around midnight-ish when the show kicks off) you can always visit us here for live updates and streaming as the Oscars are handed out. So, kicking off tomorrow, expect double-trouble as we publish 2 reviews per day in the lead-up to Monday’s big ceremony. 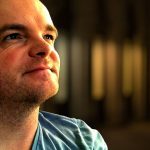 Oh, and on Sunday, we bring you a couple of guest reviews from a good friend of Fernby Films – you’ll have to check back then to find out who that is!! You can’t ask for more than that! Following on from the Oscars on Monday, we had planned to go back to our twice-a-week publishing schedule, but thanks largely to a glut of reviews written during February, we’ve got a bunch of stuff to upload as quickly as possible. So, we’ll keep the pace up until we hit our 800th review (and, fittingly for a milestone review, we’ve chosen one of the greatest films of all time to give the once-over!) and then take a pause while we slow things back down. We expect to hit review 800 at the very end of March, all things going well. Gee, it only seemed like December when we smashed through review 700! Wait…. it was! Our post-Oscar content will consist of a few more catalogue titles mixed with recent stuff, as we try and play catch-up on some franchise’s we’ve let slide a little; next week sees The Bourne Trilogy come in for some attention (I know, we’ve reviewed The Bourne Ultimatum aaages ago, but we felt it was time to reappraise the movie yet again) and we’ll also be filling in the gaps in our Fast & The Furious film reviews, kicking off with the original 2001 classic. We want to get through them all before Fast 7 – featuring the final appearance of the late Paul Walker – hits the big screen in 2015. Reviews of films such as Escape Plan, Homefront, the two Oldboy movies, and the second Thor movie are all on the way in a couple of weeks as well. Oh, and for the first time, we review a silent film from the 1920’s; it’s one of those films that cost an absolute fortune at the time – was chopped, edited and butchered, and has recently found its way back into high definition format in a restored edition – so naturally we decided to give it a whirl. Watch out for our review of 1922’s Foolish Wives, due up in late March. Yup, the fun never stops here at Fernby Films!!! As always, you can leave us your thoughts in our comments section below, or join us for discussion on our social media platforms! © 2014, Rodney Twelftree. All rights reserved. Looking forward to this Rodney! I can't decide who I think will win Best Picture – my heart says 12 Years A Slave, my head leans that way too but will Scorsese spoil the party… will the Best Picture and Best Director go to two different films? I don't know but I'm looking forward to finding out! I'd love to see Scorsese win Best Director, but I think it's realoy between Cuaron and McQueeen this year. I'm sitting down to do my tips in a few days, hopefully have something up on Sunday, but if Scorsese snagged Director, it would not make me unhappy. Is it just me, or does this year seem like a fairly even spread of films will take home an award?